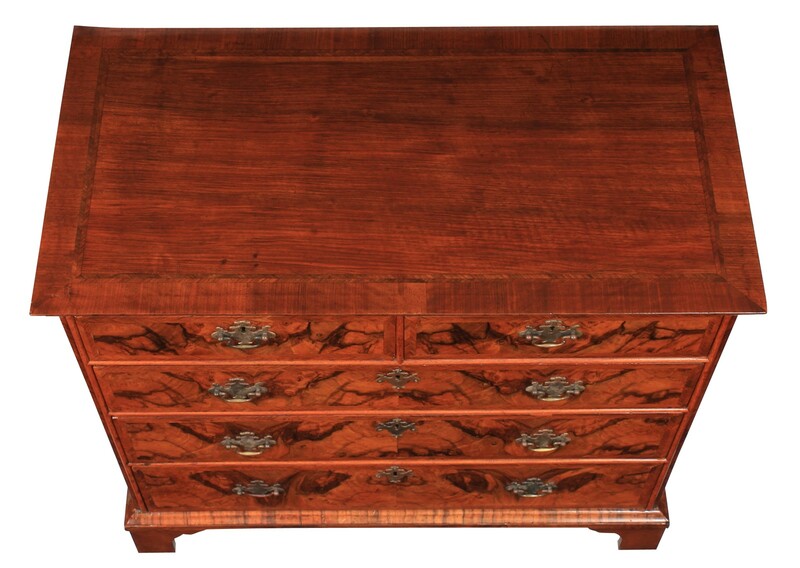 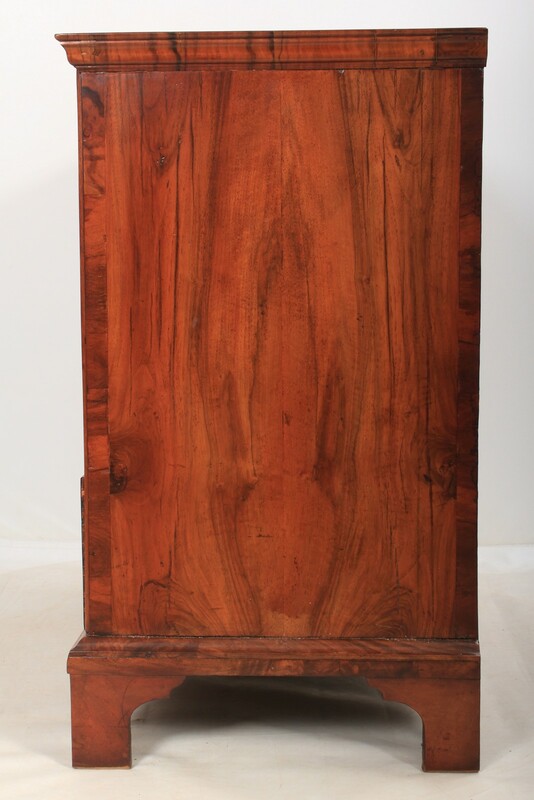 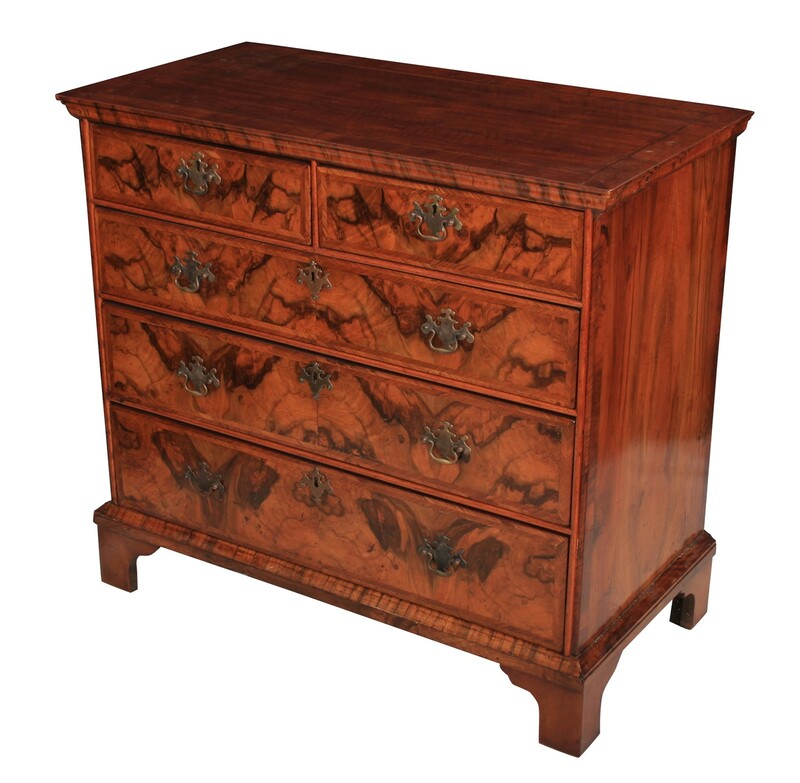 This lovely walnut chest of drawers is in showroom condition. 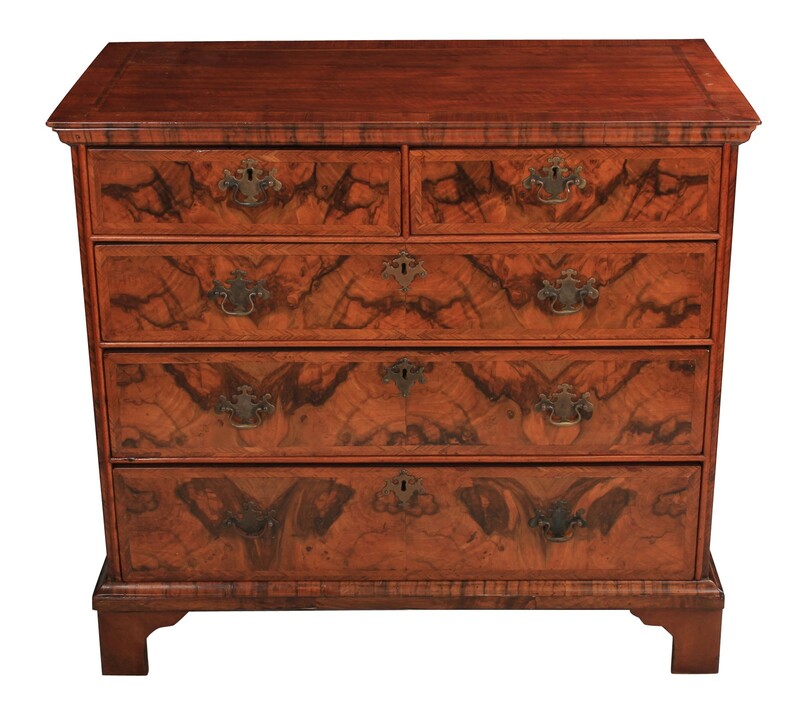 It has a cross-banded and feather banded top above 2 short and 3 long graduated drawers of solid oak dovetailed construction. 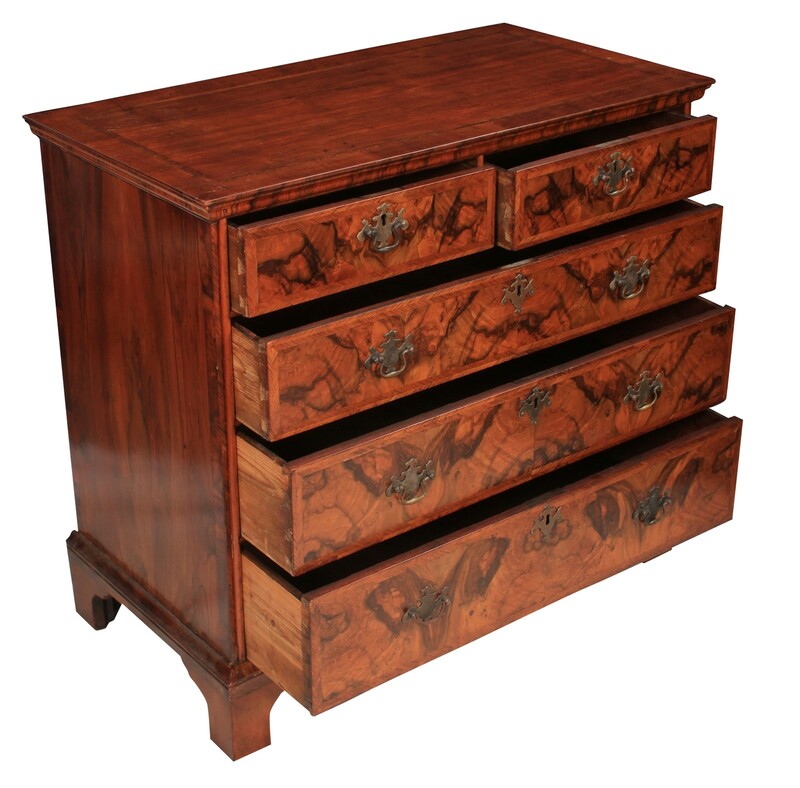 The drawer fronts are a beautiful figured walnut boasting a wonderful patina with feather banding and brass swan neck handles.